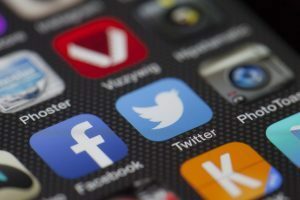 Whether through self-regulation or external oversight, social media’s Wild West days of anything-goes content may be nearing an end, Eli Broad College of Business associate professor Anjana Susarla wrote in a recent essay. “It’s true that overregulation does run the risk of censorship and limiting free expression. But the dangers of too little regulation are already clear, in the toxic hate, fake news, and intentionally misleading propaganda proliferating online and poisoning democracy. In my view, taking no action is no longer an option,” Susarla, of the Department of Accounting & Information Systems, wrote in the essay distributed last month by the Conversation. The Conversation is an independent and nonprofit source of news, analysis, and commentary from academic experts. Susarla’s essay has been shared by several more traditional and niche news organizations, including the Associated Press and the Chicago Tribune, among others. Social media behemoth Facebook is well aware of its tenuous position as of late. “When Facebook recently removed several accounts for trying to influence the 2018 midterm elections, it was the company’s latest move acknowledging the key challenge facing the social media giant: it is both an open platform for free expression of diverse viewpoints and a public utility on which huge numbers of people – and democracy itself – rely for accurate information,” Susarla wrote. To date, Facebook has struggled to balance so-called “meaningful interactions” that encourage participation and citizen engagement, and opening the door to hate speech, fake news, and interference in the democratic process, Susarla said. 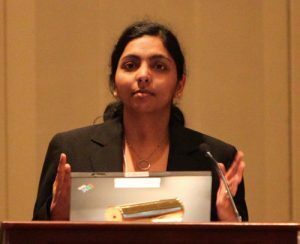 Susarla’s research interests include empirical work on information systems focusing on contracts and sourcing, cloud computing, social media, and “big data” analytics. Her work has previously been quoted by other news outlets including Newsweek, Sirius XM, Salon, and Pew Research. You can read Susarla’s full essay at the Conversation’s home page.